Combination of stream centerlines created from aerial orthophotography, planimetrics based on LIDAR data "Hydro_L" (a non continuous stream) and construction plans which has been updated and edited to be a continuous stream. The polygon dataset contains information regarding the site plan cases that were submitted to the City of Austin's permit review process. Information in this dataset has been retrieved from the City's Application MANagement and Data Automation (AMANDA) database. The dataset contains information on location, proposed uses, proposed number of units, applicants, owners, case managers etc, if available. This feature class represents the boundaries of recorded subdivisions in the City of Austin and surrounding counties. This layer represents the boundaires of watersheds which have a contributing impact on the Edwards Aquifer.The Edwards Aquifer contributing zones polygon file was created from modeled boundaries (2003 LIDAR) and customized boundaries based on contours, drainage infrastructure, COA Plans, and staff knowlege. This feature class represents City of Austin Planning and Development Review Dept. subdivision review case boundaries. These are not the final recorded subdivision boundaries.  This data has been created to support City of Austin Planning and Development Review Department business processes. This feature class represents City of Austin Planning and Development Review Dept. zoning case boundaries. This data has been created to support City of Austin Planning and Development Review Department business processes. This GIS feature class includes PARD Parkland boundaries within the City of Austin and surrounding areas.